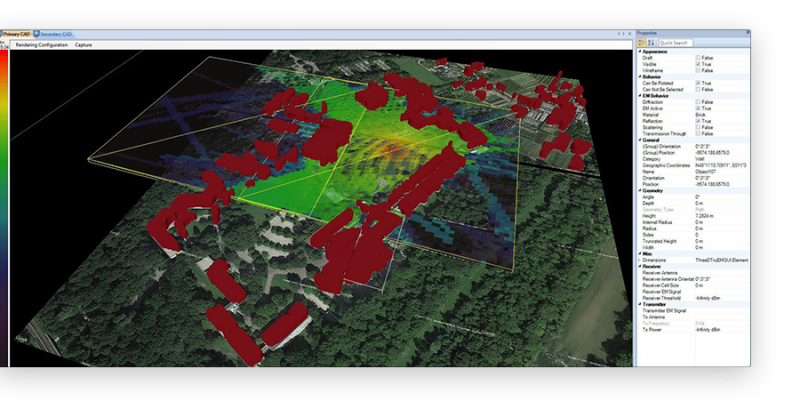 TruNET Wireless, is a 3D wireless network planning simulator that intuitively allows the realistic design of radio networks. With TruNET Wireless, a radio/wireless network designer can design with ease cellular, wireless broadband, WiFi, wireless sensor networks (WSN), or other types of radio networks. TruNET Wireless main design environment includes intuitive CAD and antenna designer functionality, allowing a user to quickly design and configure the wireless networks under investigation. 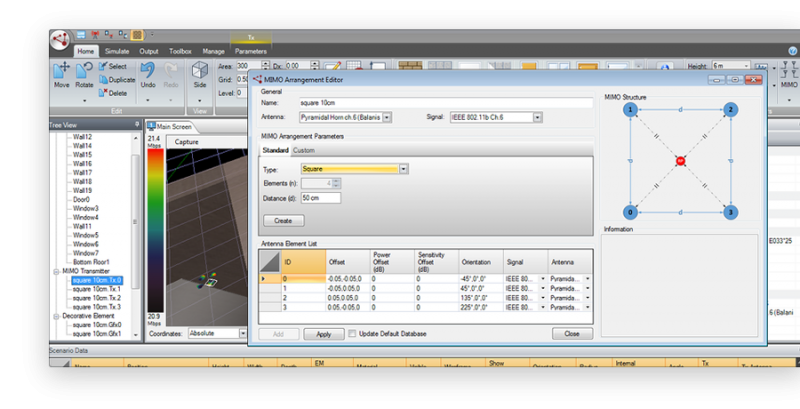 A user can also import terrain and other complex structures. Simulator's features can be found here. Depending on the deployment environment of interest, e.g. outdoor, indoor, outdoor to indoor, mountainous, urban etc., the radio network designer can select to use different radio propagation solvers, e.g. 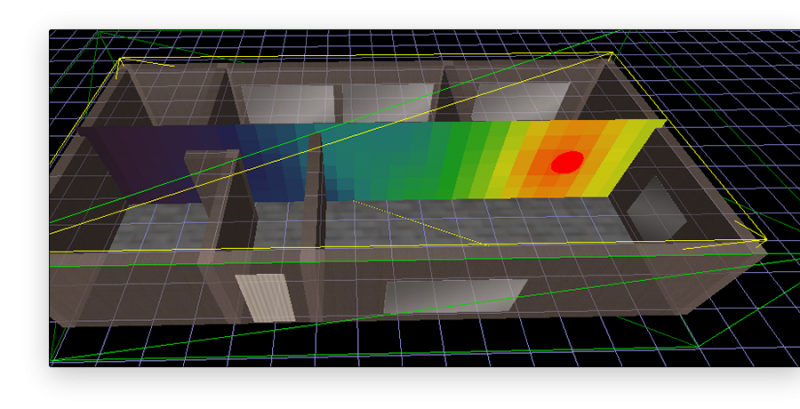 a Ray Tracing or a Parabolic Equation solver. The radio propagation solvers can provide radio coverage information and / or magnitude and phase information, Power Delay Profiles (PDP), Angle of Arrival (AoA) information, Angle of Departure (AoD) information, SNR, SNIR, C/I information etc. Various data post processing functions are supported and data can also be exported in ASCII form for further processing by third party tools. Simulator functionality is further extended through the use of specialised modules that allow the design of ultrawideband (UWB) radio networks, MIMO wireless systems and the evaluation of WiFi throughput for 802.11 a/b/g/n/ac networks, including MIMO 802.11 n/ac networks. TruNET Wireless modules can be found here. TruNET Wireless is supported by Fractal's team of wireless experts, accumulating more than 20 years of theoretical and practical experience in designing and deploying wireless networks. Fractal Networx is an ICT Research and Development Organisation, founded in Cyprus in 2015 with the scope of providing wireless planning tools. © 2015 TruNET Wireless & Fractal Networx LTD. All Rights Reserved.